The South Houston water damage remediation professionals at 911 Restoration Houston understand how to get your home looking beautiful again after it has been affected by a pipe burst, a leaking roof or flooding from a storm. The South Houston flood removal agents know how important it is to get your home feeling like the space you know and love, rather than an environment filled with water damage. 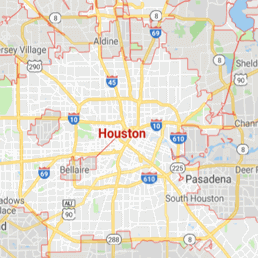 We always keep our South Houston offices available 24/7/365 so we can be of immediate assistance to the whole community. Our IICRC certified South Houston team uses advanced water removal and drying equipment to restore your home back to being a comfortable, safe family environment. In order to remediate the situation as quickly as possible, our South Houston leak repair units guarantee to get to your home within 45 minutes of your emergency call. When water is left to stand for too long it can cause damage to the actual foundation of the property. Warping, rotting and mold can all begin to occur, which can cause major problems down the line. 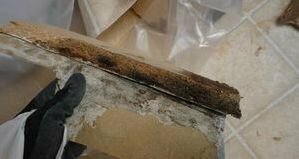 Your best chance at preventing mold from growing in your home after water damage is by extracting the water as soon as you can after discovering it. The South Houston flood extraction crews approach every job with a professionalism and emphasis for customer service that rivals no other company. By providing free visual mold inspections, free water damage estimates and affordable restoration prices, we hope to show the customer how much we care about their wellbeing throughout the entire process. Many water damage incidents can be prevented through maintenance such as cleaning gutters and downspouts. Checking sump pumps can save a home from massive water damage issues. Missing roof shingles are a prime source of water damage woes. 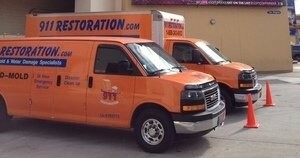 Letting a restoration professional inspect your property will help to spot any water damage potential down the road. The South Houston plumbing remediation techs have seen everything, especially having been in the home restoration field for years. All of this experience gives us the knowledge to immediately understand what your home needs in order to become water damage-free. Contact the licensed, bonded and insured South Houston water damage repair experts when your home is flooded with water from a storm, leak, pipe burst, toilet overflow, or any other type of water-related emergency. When water damage strikes, 911 Restoration Houston wants to be there for you the moment it happens. This is why we offer same day service for both emergency and non-urgent issues. We never want to make the customer feel like they need to attempt a cleanup because they are waiting too long for help. Our crews will get there quickly, ready to get to work immediately upon arrival. This betters your change of getting better coverage by your insurance company and minimizes both the potential damage to your home, and yourself. The South Houston water mitigation staff works with all major insurance companies, and will do all they can to get you the lowest deductible possible. We also consistently offer competitive prices, so you never have to worry about the cost. Do not let water take over your home. We are efficient, fast and competent, enabling us to give you a fresh start so call our water damage South Houston flood removal professionals when water damage effects your property today!